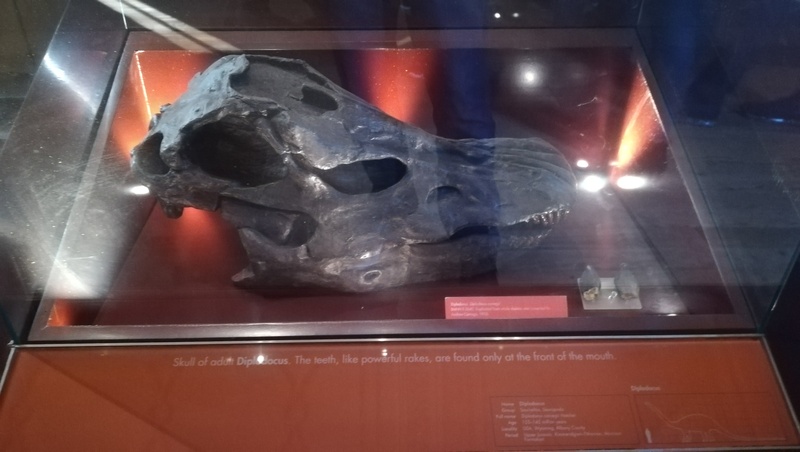 On the 11th of October 2018 research was published in the Journal of Scientific Reports about a wonderful discovery, a relatively rare find of a skull from a juvenile diplodocid. This article will examine this fossil discovery and what it means for understanding young sauropod development. Sauropods have been the focus of some of my past articles on Jurassic Finds before. The Lingwulong shenqi discovery in China for instance or Mansourasaurus shahinae in Egypt. More recently in my article about historically significant images I covered Dippy the Diplodocus, well in this article I will be examining another diplodocid. That of the fossil discovery of a juvenile skull in Montana, nicknamed Andrew after Andrew Carnegie (philanthropist who funded palaeontology research 1835-1919). The research regarding this very rare fossil discovery was made public on the 11th of October by palaeontologists in the Journal of Scientific Reports and was then reported in major News and Science media outlets. These included CNN, The National Geographic, Discover Magazine, Smithsonian.com and many more. Artist impression of Andrew surrounded by other diplodocids. Image credit: Andrey Atuchin, 2018 via National Geographic. What were the fossil remains? The partial remains of Andrew were made up of an over 9 inch skull, one of smallest diplodocid skulls ever found. The skull is partial in that it is missing parts of the cheek, palate and lower jaw. Palaeontologists can learn a lot from dinosaur skulls, for instance the orientation of the ear canals can help palaeontologists learn about how the animal held it’s head. Fossilized teeth can show whether the animal was a carnivore, herbivore, omnivore or piscivore. A skull endocast (CT scan and computer model) can help distinguish whether a dinosaur was intelligent, how good it’s eyes and sense of smell were (Guarino, 2018). Understanding dinosaur sensory abilities is the key to understanding how they lived, how intelligent they were and ultimately why they were so successful. The fossil skull of Andrew held by lead author of the study D. Cary Woodruff. Young diplodocid skulls like this one are incredibly rare to find. Image credit: John P. Wilson, 2018 via Smithsonian.com. The immense sizes that sauropods could reach has always captured my imagination. Andrew was one big juvenile sauropod, being estimated to have reached a length between 20-30 feet long at an age of 2-6 years old at the time of its death. Sauropods got big radically quickly with their skeletons changing rapidly as they aged. Had Andrew lived a full life he would have reached a length over 100 feet, which is pretty incredible. The discovery of Andrew was made in the Upper Jurassic Morrison Formation of Montana, USA. The Morrison Formation is a sedimentary sequence which is centred in Wyoming and Colorado, it is a famous Dinosaur fossil locality. The Morrison Formation is one of the many fossil sites I would love to visit and hearing about a discovery like this one is always very inspiring. Andrew was found in 2010 at the Mother’s Day Quarry of south central Montana along with other remains of young diplodocids. What does Andrew’s skull mean for understanding young sauropod development? Andrew’s skull should help palaeontologists to better understand diplodocid ontogeny (development from juvenile to adult). The skull has many differences to that of older diplodocid specimens. The lower jaw of Andrew for instance supported 13 teeth to slice through vegetation which is different to adult diplodocus lower jaws which had 11 peg like teeth. Andrews snout is also a lot narrower compared to the wider snouts of the adults as well. These differences suggest changing diets of the animal from young juvenile to adult. It is entirely possible that the younger diplodocids lived in groups separated by age, with the younglings and juveniles living in the forests providing protection from predators compared to the adults who lived out in the open (Fink, 2018). The research by palaeontologists in the study poses a lot of questions however, most notably the classification of Andrew on the diplodocid family tree. “When researchers tried to calculate Andrew’s place on the diplodocid family tree, its position depended on which of the dinosaur’s traits the researchers looked at” (Greshko, 2018). Andrews skull will be 3D scanned for future research so hopefully more clarification can be made as to where Andrew sits on the diplodocid family tree. Future research should also help in discovering more about sauropod ontogeny helping to unlock the secrets as to why these dinosaurs grew so big, why juveniles were different to the adults and many more questions. Palaeontological research is always on going and it always excites me when a discovery like this poses major questions which we don’t have the answers to just yet. A skeletal reconstruction of Andrew alongside a mature adult with Andrew Carnegie as the human scale. Along with right and left lateral views of Andrews skull and line drawings. Image credit: Scientific Reports, 2018 via Everything Dinosaur. I hope you all have enjoyed this article! It has been really interesting for me to do the research on this amazing fossil discovery. I am sure Andrews remains will provide more palaeontological answers to sauropod growth and development in the future. In the mean time keep an eye on Jurassic Finds over the coming months for more discussion of the latest palaeontological discoveries! Previous Jurassic Finds hits over 3,000 views! Thank You! Next New Jurassic Finds article will be published soon!